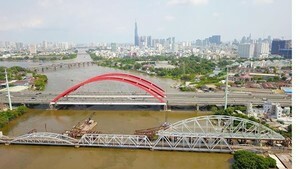 Ho Chi Minh is scheduling to build one more metro line that is expected to cost at US$3 billion, said the HCMC Urban Railway Management Board yesterday. According to the plan, the route will start from Ben Thanh terminal and ends at Tan Kien terminal with the total length of 19.8 kilometers. Construction will be divided into two phases. 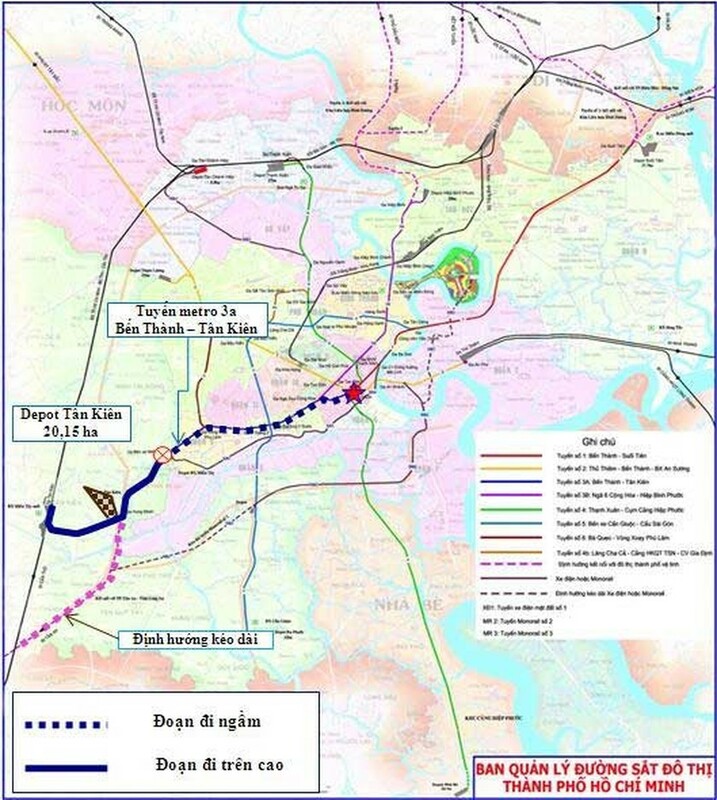 The city will build the first 9.7 kilometer rail from Ben Thanh to Mien Tay (Western) Coach Station with the total funds of $1.82 billion. The second phase will build the remaining 10.1 kilometer stretch from the coach station to Tan Kien terminal at $1 billion. The HCMC People’s Committee has approved a basic design for the first phase of the project and tasked the Urban Railway Management Board to work with the Japan International Cooperation Agency (JICA) to do surveys in preparations for the project. The board has proposed the committee to send feasibility study documents after JACA completes to the Ministry of Investment and Planning. The ministry will then consult for the PM to permit establishment of the feasibility report and submit the project’s investment policy to the NA for approval in 2017.